Seeking clarity on vaginal birth after cesarean? 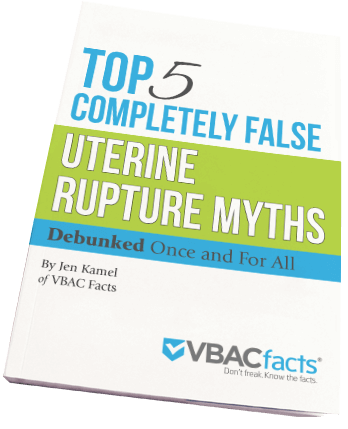 I’ve helped thousands of birth professionals and parents around the world become clear about the evidence on VBAC. I believe that every person should have access to VBAC. My mission is to make that a reality throughout the United States and beyond. No small goals here. I can't help but wonder to myself how dramatically our maternity care system might improve if all OBs understood the topic of VBAC as well as Jen does. Jen is a passionate, dynamic, informed, and engaging speaker. The information she shares is critically important for everyone who works with pregnant people. After consulting with Jen, I was able to refine my knowledge about VBACs and my larger talking points when speaking on behalf of California families. I absolutely loved “The Truth About VBAC” — I learned SO much! I strongly recommend this class to anyone who is interested in learning about VBAC! Jen is amazingly knowledgeable, articulate, a lively speaker, and funny. Our audience of professionals and pregnant women loved her. Since we are not experts on VBAC, we turned to Jen. She created three handouts for us with great information and full citations for all the information. You have to be educated and informed about this issue. "The Truth About VBAC" was well worth every penny I paid to sit and listen to Jen's wisdom.